Given the increasing importance and reliance on Cloud applications, having one internet circuit places business in a vulnerable state when an outage or interruption on their internet circuit occurs. 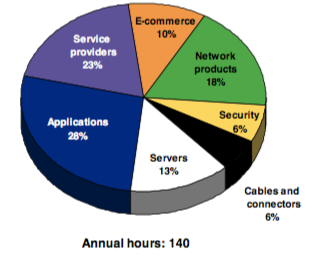 According to Infonetics Research “Costs of Downtime” study, the average North American business experiences 28 hours of annual downtime due to Internet (service provider) outages and interruptions. Infonetics found that cost of downtime associated with service provider (Internet) outages was $151K annually for a 100 person company. This was the single largest source of downtime cost. Interestingly they found that of all the sources of downtime, that this as was an relatively easy problem to fix by installing an additional WAN (internet) service. Leave your contact info and we'll call you shortly.